Goodness, how can it be that Beckett is one?? 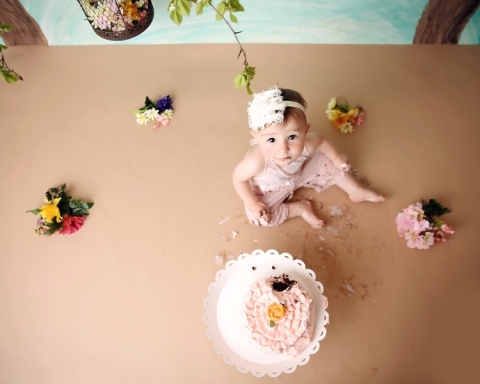 It’s so amazing how quickly these little babies go from snoozing in studio to smashing cake and running around. 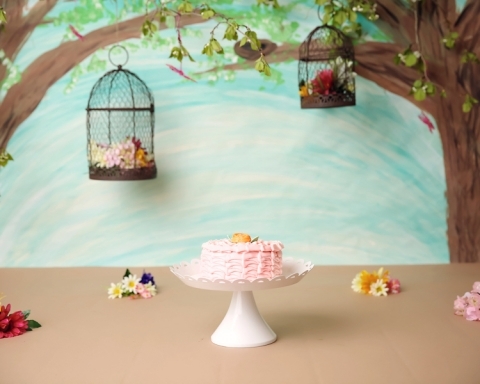 Beckett’s nursery has a bird and tree theme, so we tied that into her cake smash session. After all, it is spring and I happen to love flowers! This adorable cake is from A Cupcake A Day, in Medina Ohio. Oh no! The MESS!! Every. Single. Time. But those tears and reactions are so adorable! 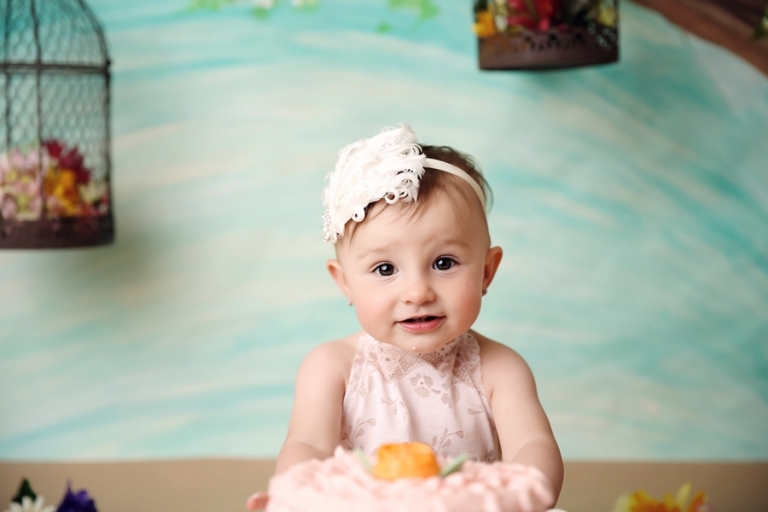 Beckett’s cake smash was a success…all she needed was some help from her big sister on how to dig in. It has been so amazing to watch these girls change and grow over the past year~ especially watching their relationship blossom. Big sister, Kamille wasn’t so sure about Beckett at her newborn session. In fact, it took quite a bit of bribing and some magic from Photoshop to get the two of them in the same frame. But now, one year later, they are best buddies. So much so, that Beckett wasn’t going to do anything without her big sister’s help. Kamille was happy to comply….although when there’s cake involved, there’s not too much arm twisting to do! These silly girls! <3 Is there anything sweeter than sisters? I think not. Thanks for stopping by! 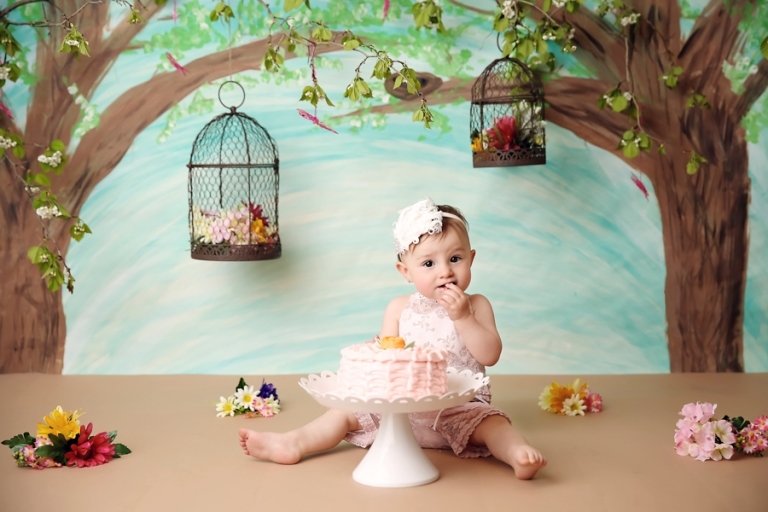 To see more cake smash sessions or information on milestone sessions, please visit here.